The Samsung Galaxy S7 is the Smartphone life canï¿½t do without. Go on and splash thanks to the water-resistant design. Get awesome shots even in low light. And keep adding all the photos and videos you want thanks to an expandable memory. SKU: sku13720031 Category: Uncategorized. 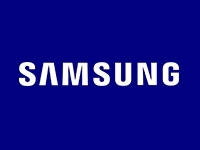 Brand: Samsung, Sold by : US Cellular Tags: galaxy s 7, gs7, samsung galaxy s 7, smartphone.